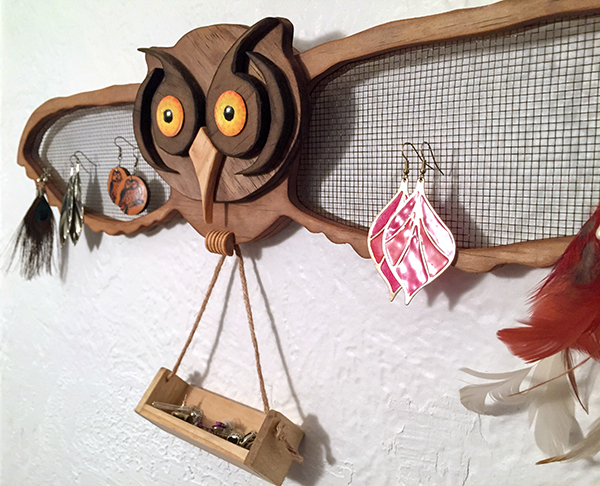 I decided to make a simpler Owl earring hanger – One that takes less time to assemble and is much less unwieldy to ship. i.e. 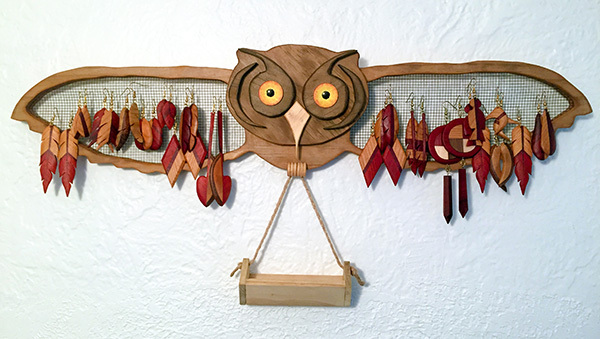 one that’s actually worth it for me to make and sell to people. This first one was an experiment with home-made stains using vinegar and steel wool. 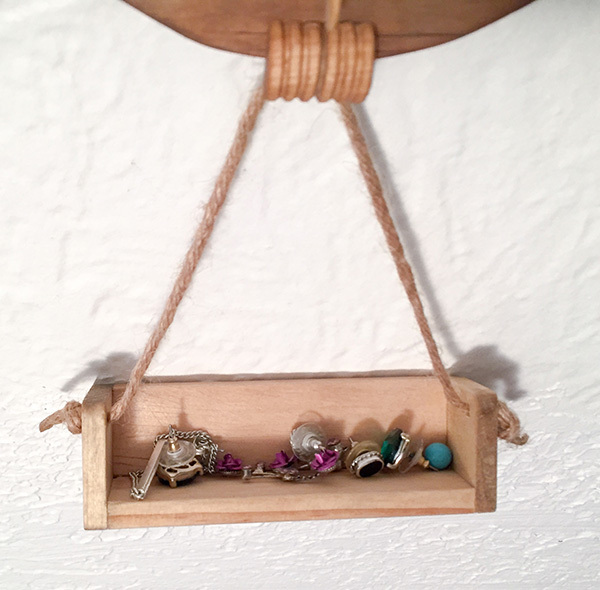 Note the hanging basket in which studs and earring backs can be placed.